Cocowhite teeth whitening … is it too good to be true? There’s a real buzz going around at the moment about Cocowhite oil, the ‘miracle tooth whitening sachets’ that are advertised as ‘oil pulling for whiter teeth’. But is Cocowhite as good as the social media marketeers are saying? And if it is, why aren’t real dentists such as Carisbrook dentists Manchester recommending it and using it? There’s a simple answer to that. Back in October 2012 the EU Cosmetic Products Regulations outlawed tooth whitening by anyone other than a qualified dental practitioner. The Regulations also stated that only products containing or releasing 6 per cent hydrogen peroxide can be used as medically approved tooth whiteners. In addition, only fully qualified dentists and hygienists are permitted to use product of this strength. Which is why there are now a number of non scientifically-proved DIY tooth whitening products coming onto the market that don’t require the services of a qualified dentist. We do not believe that these treatments match the results you can expect by asking your dentist to use the clinically approved hydrogen peroxide products and it is also our view that any tooth whitening improvements by these non-licensed products will at best be short term. At Carisbrook Dental we can confirm that scientifically proven and medically approved hydrogen peroxide based products offer the ultimate tooth whitening results and if you go to our Teeth Whitening Manchester page you will be able to read all about the various options we can provide. The first thing our dentists will do is to provide a professional diagnosis. That means examining your teeth to determine why they may be discoloured. Is it genetic? Or is it caused by your lifestyle? These peripheral stains can usually be quickly removed by our Airflow machine, which swiftly cleans and freshens the teeth leaving them with a much whiter appearance. 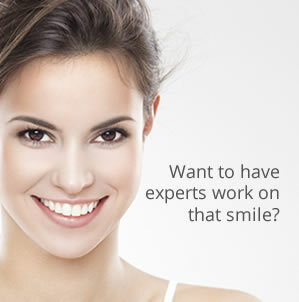 We may recommend a home whitening treatment course, or one of our in-clinic treatments that include laser whitening using our Zoom machine or the very latest ‘Enlighten’ technology – the revolutionary new teeth whitening treatment from the USA. Probably the most advanced teeth whitening process there is. Remember, if teeth whitening is not performed by a qualified dentist it is not legal, it will not be regulated and the chances are that if anything does go wrong … they, or the product, will not be insured. Right now at Carisbrook Dental it couldn’t be a better time to discuss your teeth whitening treatment because we are offering a Free Cosmetic Consultation. Call us on 0161 951 7295 to arrange an appointment or visit our Contact page.